What I like best about Fountain is the flexibility they have with delivering exactly the product that is needed. With my line of work, policies change quickly and the representatives are always there to cater to what the company needs. Another plus is that the customer service is fast-acting and efficient in delivering any notices and/or providing the answers that we might need. It's very hard to think of something that I dislike about this service. If I had to nitpick something it would be that there are little glitches here and there, but as previously stated the customer service team always gives a notice on what is being done and when it will be fixed! I have realized that Fountain pretty much has a lot of filters that allows my team to view the information that is needed all in one screen. The interface is good, the product is relatively easy to use. It provides a good, easy to set up solution to the issue of inboarding which removed the aggro of having to set these things up for ourselves. Limited integrations, occasionally slow responses from the team. We have had issues with existing integrations and knowing where responsibility for this lies. To be fair, fountain have been pretty helpful but we do sometimes feel like we're stuck in between a rock and hard place when it comes to getting these integration issues resolved between the third party and fountain. Double check that the integrations meet your needs and that support will continue to be provided before committing. Other than that, they do offer a very good bespoke service and support is pretty good, so go for it! Not only is it a helpful, off the shelf solution to our on onboarding but the built-in analytics are incredibly useful and have automated a process which otherwise would have been incredibly manual. "Great features but Onboarding needs love." Fountain made scaling and managing our applicant funnels possible. I love the UI and it does what it is meant to do. I like the way design is set up. The features and flexibility you have in the product allow you to scale fast and optimize your flow for different sizes of volume and requirements. It's great for employee onboarding. Fountain's focus is on functionality and obviously less so in the UI. If you're looking for automating your hiring and care about features & workflows. Go with fountain. - Qualification of the candidate is powerful. -Automating a lot of manual tasks of hiring. "Fountain is great software to help hire the correct people, fast. " What I like most about fountain is their use of the bucket system that helps you see where certain applicants are being held up. This modified Kanban makes it easy to identify what needs to be done to move that person along. There aren't a lot of complaints I have about Fountain but I wish that it would confirm that the information uploaded by a applicant is what we ask for. There are times when we ask for picture of insurance and they upload the wrong paperwork. If the system could identify this and deny it then we could move even quicker. None, doing a great job. We have been able to move people through our hiring system quicker and even cut out unnecessary steps along the way. Very easy to setup and use. I was up and running in no time and receiving applicants. Unfortunately, it seems that fountain automatically spans the candidates that are interesting and most of them get frustrated because of the multiple automated messages. I had several people just reach out and ask me to stop, when it was something done behind the scenes. It gave me several candidates. The quality of candidates was about the same as indeed. The biggest benefit is that it doesn’t take a lot to maintain. Not only is Fountain at the head of applicant tracking systems, but it also carries many features that make it flexible and relevant in hiring today. It's been refreshing having the features you would always wish you had in the product. Find the features you want and get on a call to get a full walk through. Texting our candidates, easily moving pipelines over to different hiring coordinators, and setting up a full hiring pipeline. It's completely expedited our scheduling removing a big big headache from our hiring coordinators. "Great for remote teams to balance high applicant flow"
I really like the ease with which we can communicate with and about applicants via a remote team. Fountain is receptive to user requests and makes frequent improvements. Love that it seamlessly syncs with my google calendar. I wish that the data export tool was more robust and easy to use. Developing queries can be cumbersome. When you change your process you are unable to remove old scorecards and templates without also removing their associated data. An archival tool would be great for that to keep the user interface streamlined. The data coming in from applications is enormous and we are just starting to use that to analyze advertising, applicant quality and more. "Useful ATS for high-growth roles"
Don't hesitate to reach out to their Customer Care team for help - very responsive! "Straightforward approach to applicant management"
Managing the triggered messages can sometimes be difficult. A better testing function as a test applicant would be better. "Amazing, but could do with some UX and interface changes." Fountain is relatively easy to use with a range of useful features for HRM. I've been using it for a few months now and it has stuck to what it says, allowing my business to recruit people in an efficient manner. The UX (user experience) and interface could be modernised a little and made easier to use, at times I've struggled to navigate to certain parts of the software because of it not being so clear. Don't use it for full-scale businesses with many HR people. Rather than manually searching for candidates on Indeed, Linkedin, Glassdoor etc. 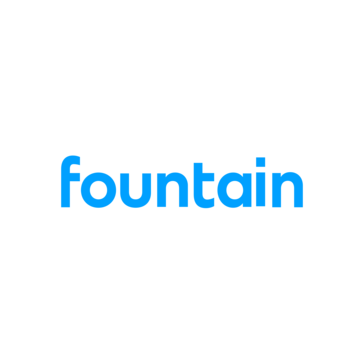 Fountain does all the applicant finding work for you. I like that you can automate the hiring process. It's difficult to learn how to use fountain. I feel like it could be more streamlined. It's a great product. It's better than other platforms I have used. Fountain has organized and automated our hiring process. All I have to do is set up my available times for interviews and Fountain does the rest. I can easily search and find candidates to review. So far no complaints, It is easy to use I use it to conduct an interview and I have an easy time declining candidates. I also like that I can incorporate the interview questions. Everything I need is on one page, no more scrolling through applicants. Easy to use. The platform is intuitive. The visual interface isn't the best. Improve this, could help to obtain better results. Few reports, The data export in some cases is difficult to obtain. "Fountain - Good and the Bad"
The simplicity to understand the program is amazing. Literally took me only a week to understand and use it beyond proficient. It's not much about disliking the program itself, more about fitting the needs of it to what we do that didn't work. Make sure that this is something that would be flexible to your business. The onboarding process of our partners have become really quick and easy especially with the auto reminders and text functions. "Good product and responsive customer service"
Tech enabled onboarding of care workers with options to schedule sessions and send regular reminders. "Save times and makes it easy!" I like the landing page overview most! It provides a great way to explain what is needed. And increase the quality of applicants. Wish it was able to get more applicants with the free account. I know there's a paid version. But would be better if could get more. Make it easier to get more applicants. We need to hire 1099 contractors to join our platform. This makes it easy to track. "I have had a great experience with Fountain since it is so easy to work with. " I really love the customer service of the Fountain representatives as well as the tech support. I don't think I have anything I dislike about Fountain. I have been using it for about 8 months and it really has made my life on-boarding applicants easier. On-boarding applicants faster and easier. A major benefit is the automative rules that can move applicants from stage to stage without me having to do it manually. "Easy Flow and Layout "
Using Fountain definitely makes the on-boarding process for our independent contractors a lot smoother. I enjoy the automated messages reminding them to pick up where they left off. I dislike that it reduces the sense of urgency for one to finish the application in a timely fashion. I am able to download and edit profile photos that applicants submit, and also easily request the applicants to submit new files. The platform is easy to use and learn. Navigating is a breeze! Not being able to sort applicants by duplicates. Hiring. We can review and make decisions within one platform. "Every application process should funnel through Fountain"
Fountain displays all necessary info I need to look at while making decisions on applicants. It's all in house system allows me to communicate and track each applicant that comes through my funnel. Fountain has pretty much done everything I want it to do for me in order to make my job easier. Maybe include social media background checks? Built in background checks, social media background checks! Hiring at a large scale. I read hundred of applications daily and fountain has made it easy to separate them by region and it's UI allows for easy reads and push forwards. Honestly, I like the color-coding. It is easy for me to see a lot of info at a quick glance. There are a lot of little bugs, but they are fixed quickly. It can be a little slow at times, but overall I'm very happy! I use Fountain to communicate with thousands of applicants at once. It is incredibly time-efficient. The stages in fountain are very helpful and clear for users. You can move applicants very quickly and effortlessly. The post hire / workers profile is very limited. There isn't enough customization. With automated messages based on idle time and rules for moving applicants between stages, our business has saved hours of manual work every day. "Love Fountain! Has increased our hiring conversion rate! " I like the automated process. It helps us to keep track of the 150 applicants we get per month. I wish there was some more customization when it comes to the way application questions are structured. Like asking for availability is tricky with the current settings. Helps us to hire based on our demand. If your company is scaling and you like to have lots of functionality to eventually build into, I would recommend considering this product. The user interface is very easy and intuitive! Analytics could be more robust - we aren't able to pull the reports we need in order to report on funnel performance. We are solving for how to streamline our application process and approve more applicants. As far as getting workers enrolled and through the workflow's, it is super user-friendly and easy. Certain limitations to custom applications we were trying to accomplish. Technical errors with very niche statistics. Higher success rates or workers enrolled. "Great applicant management system with quirks"
Behaviors that seem like bugs, but are intentional. Something that is seemingly a bug, is often identified as an intentional “feature” by support. Allows for fast onbording in on-demand space. "Fountain is helpful for tracking applicant data"
Everything is in one place and can track application, notes and other data. Would like more data points for sorting and exporting data. Ability to track and communicate with applicants all in one place. "Great product and platform to use." User friendliness, fast, easy platform to use while hiring. Occasional bugs, visual experience across teh board. Shortened time to hire, a very good ATS across the board. Pretty smooth system and easy to manoeuvre between different flows. Pulling analytics data is very easy as well. Could have a more improved messaging system. I think it's a bit annoying with email templates, takes a long time to modify. "Fountain helps keep track of important applicant data and notes "
Fountain is helpful for tracking applications, notes and other data. They have an excellent customer support team. Would like to be able to track and export more specific data points. Customer service is very responsive! I also like the ability to categorize different applicants. Some of windows that open are not user friendly. * We monitor all Fountain reviews to prevent fraudulent reviews and keep review quality high. We do not post reviews by company employees or direct competitors. Validated reviews require the user to submit a screenshot of the product containing their user ID, in order to verify a user is an actual user of the product. Hi there! Are you looking to implement a solution like Fountain?